As you arrive at the Jerusalem airport, meet our representative and get an assisted transfer to hotel. The remaining day is for leisure activities. You are free to explore the surroundings on your own. On day 2 of the tour, get ready for explore the new Jerusalem city. Start with wonderful views of Jerusalem, from the top of Mt. of Olives. Next in line is visit to the Garden of Gethsemane and the Church of the Agony. Keep exploring the place as you head Israel Museum's Shrine of the Book, which contains the popular Dead Sea scrolls. Continue the sightseeing and arrive at the Model of the Herodian city of Jerusalem. Dating back to the time of the Second Temple, this is a beautifully renovated masterpiece. The next attraction that you visit is Yad Vashem, a memorial built in the memory of six million Jews who were killed in the Holocaust. Later on, head to the beautiful Ein Karem village, which is the birth place of John the Baptist. Back to the Hotel. The day is scheduled for exploring the old city of Jerusalem. The walking tour begins with a walk traversing the improved Jewish Quarter- one of the Gates to the walled Old City. Continue to the Western Wall? the colorful local bazaars? Via Dolorosa- one of the oldest streets here and the Stations of the Cross ending at towards the Church of the Holy Sepulcher. Later, drive to Mt. Zion for visiting the tomb of King David, the Room of the Last Supper and Dormition Abbey. In the afternoon, visit Bethlehem for visiting the Church of the Nativity and to get a view of the shepherds fields. On the 4th day, complete the check-out formalities at your hotel in Jerusalem. Start driving northwards via Jericho, which the world's oldest city. Continue your drive via the Jordan Valley towards Beit Shean. Here you explore the excavations of this striking Roman City. After this, you head to Nazareth for visiting the Church of the Annunciation & Mary's well. 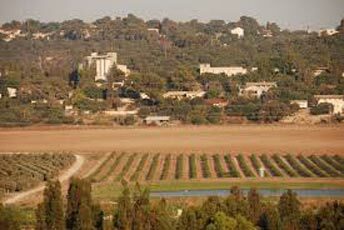 Drive to a hotel in Kibbutz. Relax for the remaining day here. In the morning of day 5, start with the tour by driving to the Golan Heights. Here, visit the former Syrian fortifications, and then the Druze villages. Continue your drive via Banias, which is known as source of the River Jorden, Keep driving along the shores of the Sea of Galilee to arrive at Capernaum. Here you get a chance to visit the ruins of the ancient synagogue and Peter's House. Next in line is visit Tabgha, where the miracle of the Fish & Bread took place and then you move to Mt Beatitude. After, a short tour of Tiberias, the old center of Jewish learning. 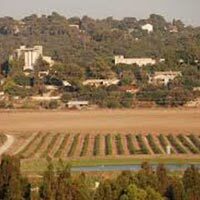 Return to your hotel Kibbutz. Post breakfast, you drive westwards to arrive at Acre for visiting the old, famous Crusader stronghold and medieval fortifications. After this, continue your drive to Haifa. As you reach, get ready for sightseeing in Haifa, including the Baha'i Shrine, and Persian Garden. From Mount Carmel treat your eyes to the wonderful views of the city. Later on, drive towards south to Caesarea for visiting the Roman Theater and exploring the Crusader fortress. At the end, drive and arrive in Tel Aviv ­ Jaffa for enjoy a short city tour. After check-in at a hotel in Tel Aviv. Day 7 is at leisure. You can indulge in the activities of your interest. You can either explore the attractions of Tel Aviv or can go for an optional tour to the Dead Sea and Masada. After breakfast, get transferred to the airport to board your flight for the next destination.